The captivating landscapes of America's heartland offer an inviting escape from the everyday in Indiana Across the Land. 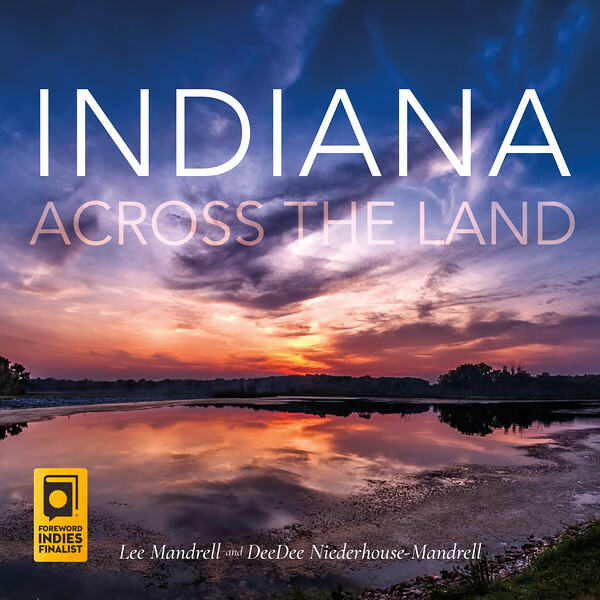 Although a road trip from the shores of Lake Michigan to the Ohio River could be accomplished in only six hours, photographers Lee Mandrell and DeeDee Niederhouse-Mandrell take readers the long way around the Hoosier state, embarking on a breathtaking journey across the seasons, down windswept dunes, through old-growth forests, over burbling creeks and yawning chasms, past icy lighthouses and worn-down barns, and into the southern cypress swamps. More than 140 photographs capture the beauty of the Indiana Dunes National Lake Shore, Ouabache State Park, Turkey Run State Park, Squire Boone Caverns, and many other landmarks and natural wonders, both well-known and rarely glimpsed. This book can be ordered from the links below.